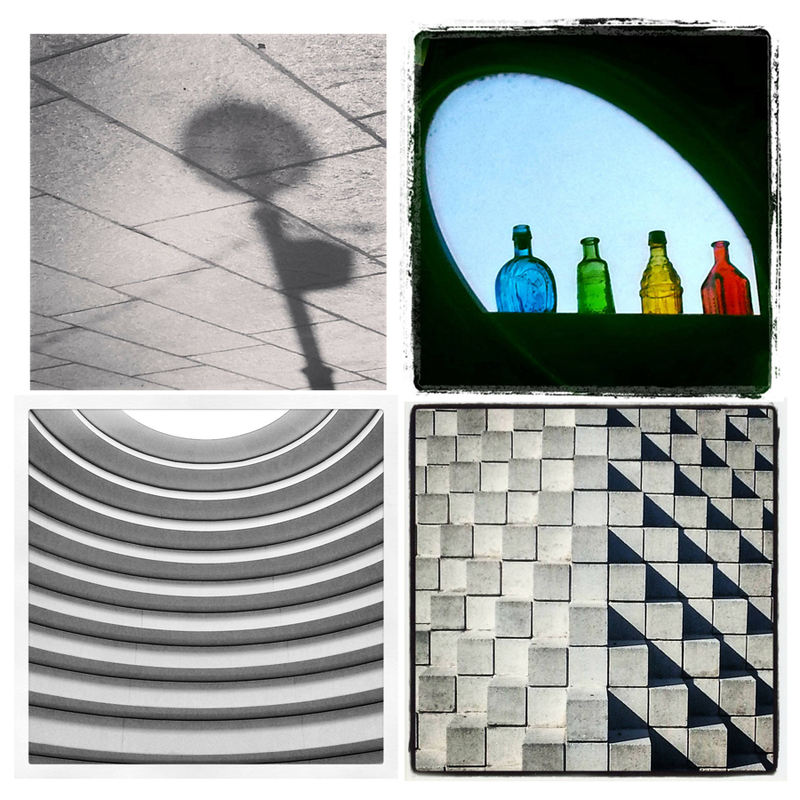 Some of my first photos on Instagram. So I finally gave in and joined Instagram (I know. I’m, what, five years late to the party?). For a long time, I balked at the idea. Being limited to a square composition and the quality of a camera phone was baffling; after all this technological advancement, why would people purposely choose a medium with low image quality, filters that emulate old technology, and a limiting composition? Then I tried to stop thinking like a snob. When I worked at the International Center of Photography, we put on an exhibit of a man who built cameras out of cardboard boxes and took pictures of women’s legs on the street without their knowledge. So, really, who am I to judge what photography should be or how it should be accomplished? And as someone interested in photography, shouldn’t I try to expand my repertoire and try new methods? So I signed up for Instagram and began taking more photos with my camera phone. And I actually like it! I think Instagram highlights the best thing about photography: it is the most democratic art form. Unlike painting or sculpture, which can require years of practice and expensive materials, photography is accessible to most of society. Almost anyone is capable of being a photographer and capturing a moment in their history. 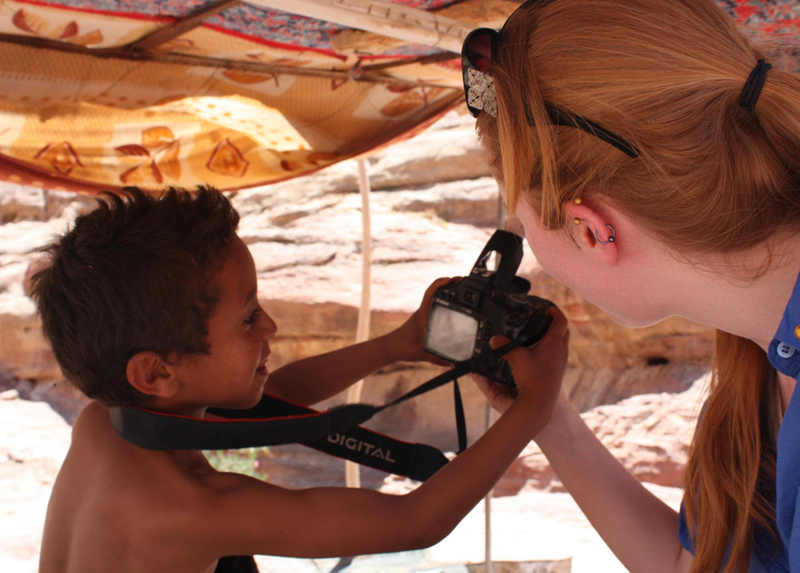 Me with a young photography enthusiast in Jordan. Yes, that’s my camera he has (and wanted to keep)! Photography, however, can quickly become inaccessible with its expensive DSLR cameras and proliferation of high-powered lenses. 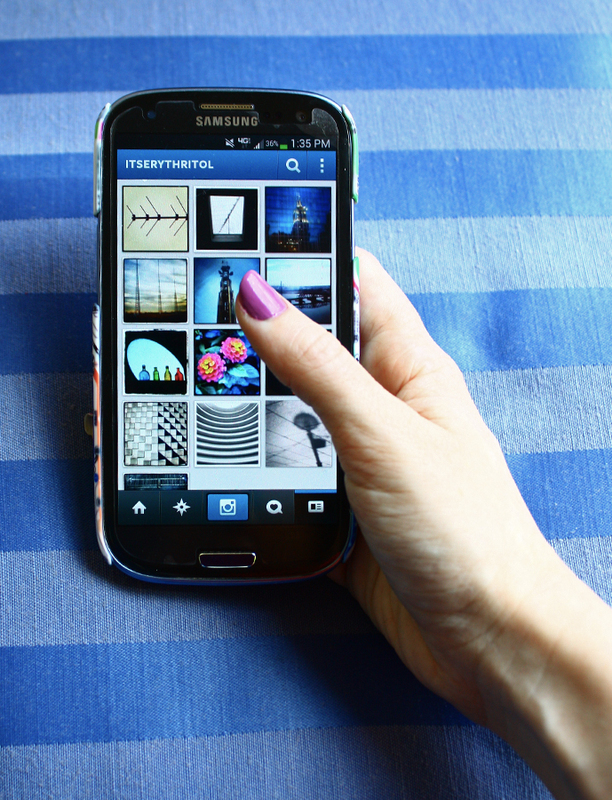 Instagram sets us all back on a level playing field and gives everyone the tools necessary to be a photographer. Almost everyone has a phone with a camera, access to the internet to download a free app, and their own sensibility of what makes a good photograph. It enables more people to be art-creators and chroniclers of their own existence in the world. With a smart phone, the little boy I met in Petra (above) can share with everyone what the world is and means from his visual perspective. What Instagram is, at least for me, is a way of looking at the world in a different way. While sitting on a bus, it allows me to ask the question “what is the most interesting photograph I could take right now?” It makes me notice shapes and moments that I might otherwise pass by. It allows for experimentation and failures without the constant nagging question of “will this be a good photograph?” It’s just fun. My Instagram. Feel free to add me! I’m a pretty enthusiastic fashion watcher. I enjoy admiring the high fashion lines and noticing how the ideas/concepts trickle down into everyday wear. One thing I have noticed, however, is that sometimes it’s less of a trickle-down and more of a blatant rip-off. Why? Because under existing U.S. copyright law, fashion and accessories just aren’t that well protected. 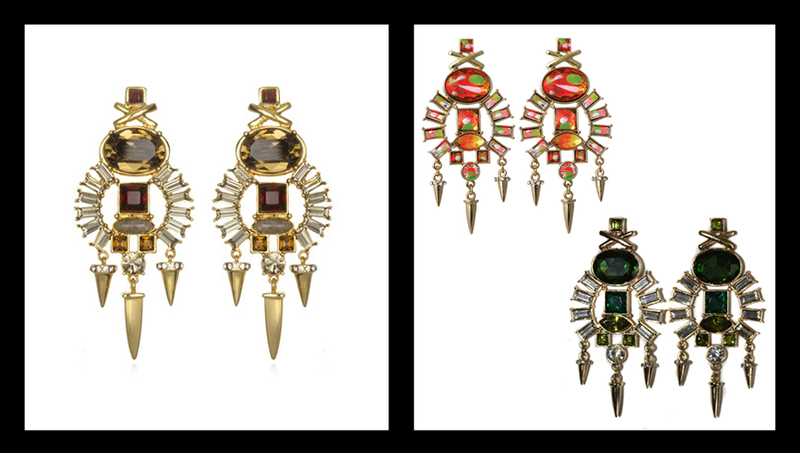 Left: Shourouk ($850). Right: Hautelook (about $80). So this isn’t too blatant. The piece on the right is more inspired by the piece on the left than it is copying it. 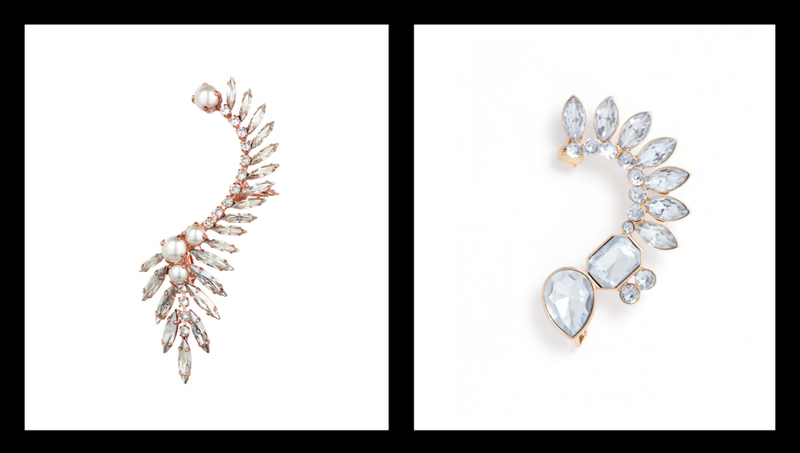 I’ve been seeing a lot of jewelry featuring rhinestones and brightly colored opaque jewels. It’s a fun trend. Left: JCrew ($150). Right: Ebay or literally anywhere on the internet ($5-20). Everyone and their mother was wearing this necklace in the summer of 2012. As you can see, an exact replica can be found pretty much anywhere in any color you can possibly imagine. Left: Ryan Storer ($630). 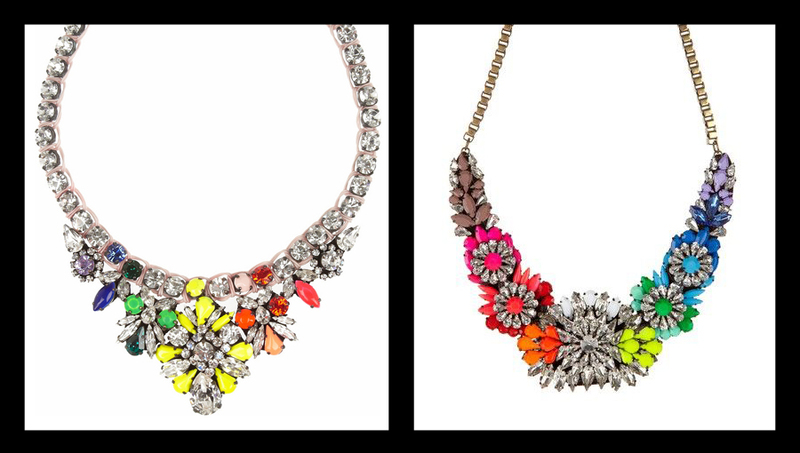 Right: Baublebar ($32). So ear cuffs are pretty big these days…I wouldn’t call this a rip-off so much as an inspiration. Left: Elizabeth Cole ($342). Right: Melody Eshani ($122). It’s not really clear who copied who from cursory googling, but clearly someone was copied. Relatedly, Elizabeth Cole seems to get copied quite frequently. You can find a (much less attractive) version of its fishbone earrings on Amazon. 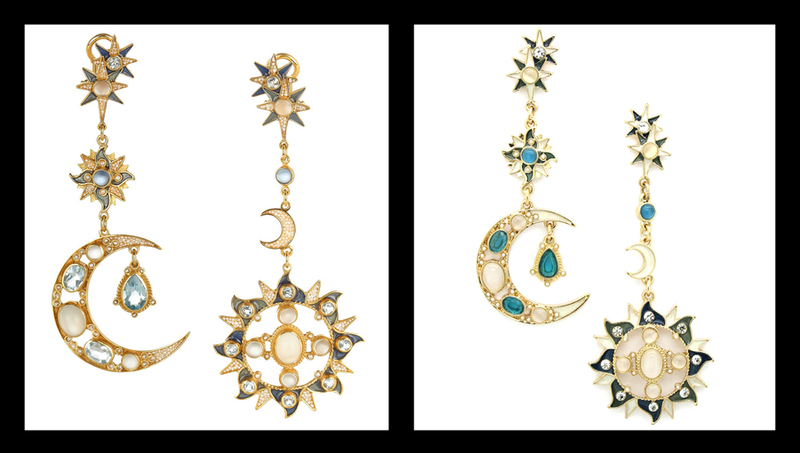 Forever 21 has also copied Elizabeth Cole more than once, doing an exact replica of its mohawk earrings and its chain earrings in black. Left: Percossi Papi (about 950 €). Right: Hautelook ($15). This is so blatant that there’s really nothing to say about it….other than of course I own those knock-offs because I adore Percossi Papi but don’t have a spare thousand dollars lying around. Left: Lizzie Fortunato ($189). 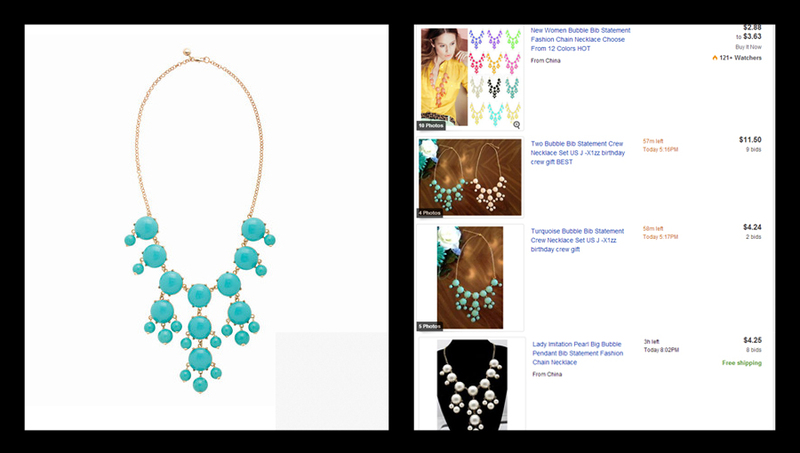 Right: Hautelook (about $20) and Baublebar (about $25). I actually own the ones on the left! I was super surprised to visit Baublebar one day and find a green version of them staring back at me. Blatant knock-off not even attempting to hide it! ….Well, I love green so I bought them too. So I guess I own the ones on the right as well. No judgment. 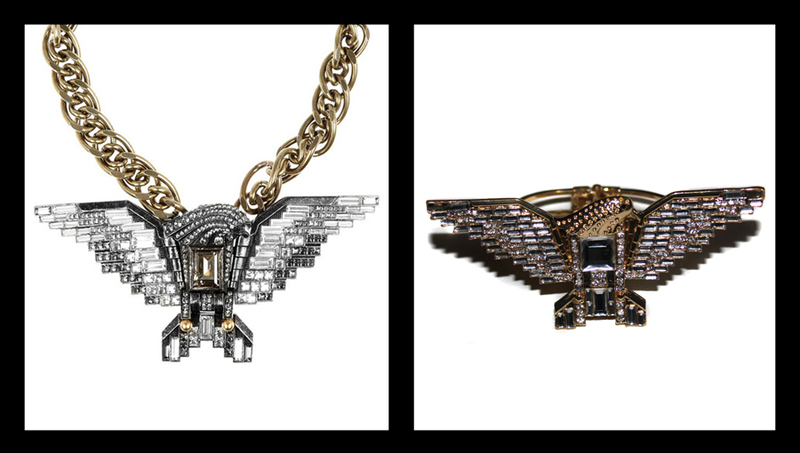 Left: Lanvin ($2,295). Right: Hautelook ($15). This is also pretty blatant. 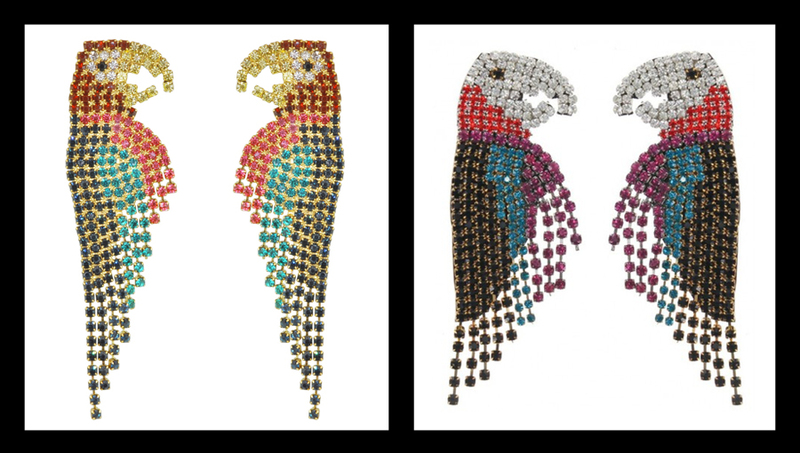 The pricey bird on the left has been seen on Beyoncé and several magazine covers. The one on the right can be seen around my wrist because I totally want a knock-off of something fashion queen Beyoncé has worn. So this has barely scratched the surface of the many jewelry knock-offs that occur. I just thought it was an interesting subject to consider. Is it fair? Should fashion and jewelry designers be given more protection under the law? Or is this article correct in arguing that it’s good for the industry? Are designers who sell products for thousands of dollars really being cheated by knock-offs that cost $20? Something to consider. 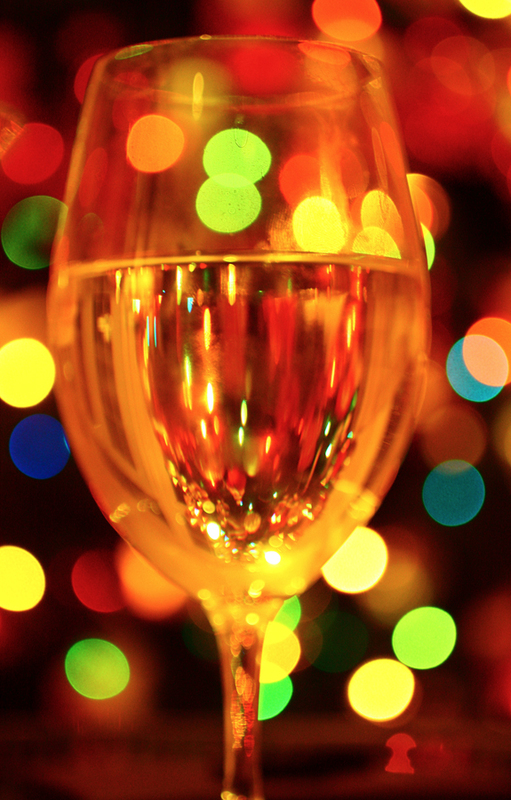 Have a glass of good cheer. And lots of bokeh. I hope everyone had a very Happy Holidays and a Merry Christmas! I always think the best gifts are sentimental. Each Christmas, I try and do some sort of special non-store bought gift for each of my parents. This year, I made my mother a crochet blanket (which has yet to be finished, of course…) and after some internet research and family member interrogation, I was able to recreate the cookies that my grandmother used to make my father each Christmas. Ever the complicated woman, she gave the recipe to family members with ingredients intentionally missing and therefore took the actual recipe to her grave twelve years ago. Not to go all Marcel Proust-y, but it’s interesting how much a smell can be missed. As per my usual craziness, I’m not satisfied with the result, so I think I’m going to deconstruct it and go about it in a different way. 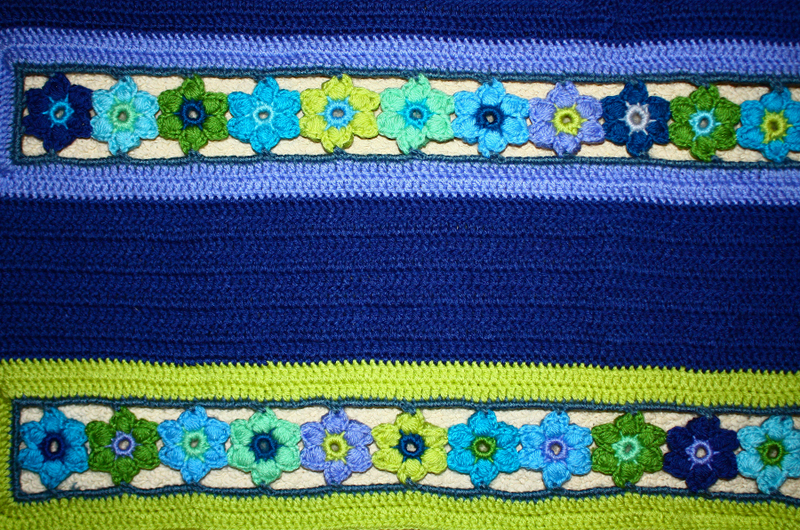 I’m working off of an inspiration picture only, so the possibilities are limited only by my crochet prowess. 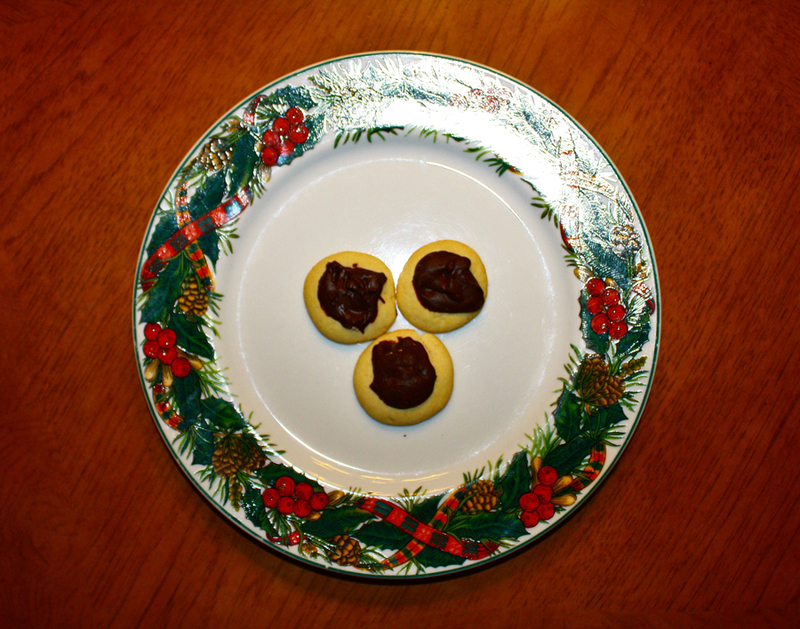 Shortbread cookies with chocolate ganache topping. I’m almost positive this was the recipe my grandmother used. I knew she had obtained it from a magazine, so I was prepared to spend my days in a library, going through the back issues of magazines from the 60s! Glad it didn’t come to that!